If you’re looking for an adult only environment, a ski hotel in a great location and with a lively atmosphere, then the Chalet hotel Moris is ideal for you. Located right in the centre of Val d'Isère, with gorgeous views of the surrounding mountains, you’re just a 5 minute walk away from the Solaise and Bellevarde lift stations and ski school meeting points. Chalet hotel Moris is reserved exclusively for adults (18 years +) outside of school holidays, so whether you’re travelling on your own, as a couple or in a group, you’ll love the comfortable, easy going atmosphere. Many that stay at this Chalet Hotel come back year after year for the fantastic skiing and great social life the hotel offers. After a day on the slopes, there’s plenty of entertainment around and about, but many guests prefer to settle down for the evening in the hotel’s cosy first floor bar or party downstairs in the Moris Pub, which offers live music most nights and is one of the most popular pubs in Val d'Isère. The bedrooms are simple but comfortable at Chalet hotel Moris. There are a total of 32 guest rooms comprising; singles, twins, doubles and a quad room, great for a small group of friends looking to share. Some guest rooms are en-suite and available at a small supplement, the remaining bedrooms share facilities. Children are welcome at Chalet hotel Moris from the age of 7 upwards during school holidays. Childcare is not provided. At Chalet Hotel Moris breakfast, tea and dinner are served in the first floor dining room with its views of the bustling town and mountains beyond. You will be set up for the day with a hearty cooked breakfast, and then welcome home from the slopes in the late afternoon with steaming hot soup, bread and fresh homemade cakes which you can eat outside on the terrace if you wish. A delicious three course evening meal is accompanied by a choice of wines. 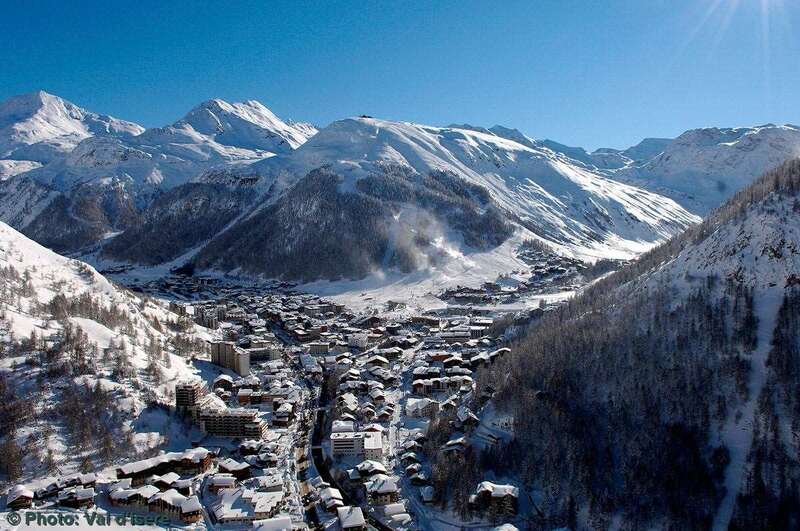 This chalet hotel is in the heart of Val d'Isere. It is very basic. But if you just want somewhere to crash after a hard days on the slopes, and the night on the lash, then this would be fine. They have live music here until 2.00am so don't stay here if you want something quiet. One skier I know stays here the whole season every year. You will love it or hate it. This place is an absolute dump. Needs pulling down and rebuilding from the ground up. It was run by mark warner for years and didnt have a euro spent on it in years. The fixtures and fittings are archaic The rooms are just plain miserable. The smell that permeates within the premises is awful. To get a real review wait till the season starts and ask someone there to post THEIR pictures of the hotel,and not the cherry picked ones that are on here.